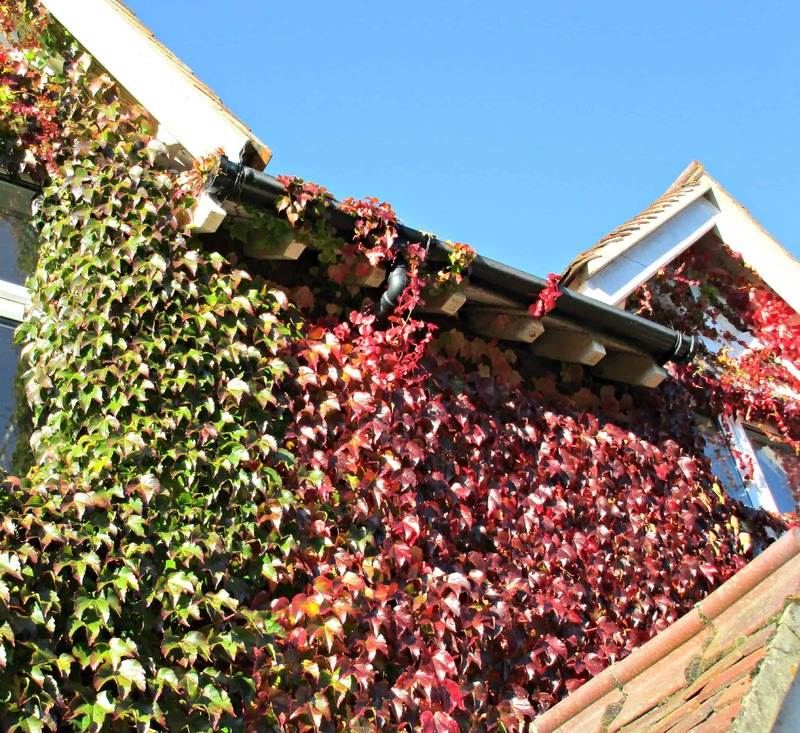 We have a beautiful Virginia Creeper that grows up the side of the house, and at this time of year it’s leaves turn Crimson. Although lovely, it really is the most rampant of plants, and every couple of years Hubby asserts his authority over it. This weekend was the fateful weekend when he pulled it all came off. The kids and I collected some of the smaller leaves up (we like to be helpful!) and decided we would try and decoupage with them. On close inspection, the leaves don’t lie flat, but have a bit of a curl to them. We stuck them in the telephone directory, under a pile of books for a few hours to try and flatten them out – much in the same way as we did in Using Pressed Leaves to Decorate Candles. This time however, we wanted our leaves to still be fresh, not dried, so we just left them overnight, which did the job nicely. Traditional decoupage is the art of decorating with cut out pieces of paper. The finished artwork is then covered with many layers of varnish, giving a beautiful glossy effect. There are many different decoupage paper and glue products on the market, but for our crafting adventures we have always had great results with scraps of paper we already have around the house, and plain old pva glue. We decoupaged onto a Kraft notepad. Before we started, we painted a layer of slightly watered-down white glue to the blank cover and let it dry. Working a patch at a time, we applied a generous layer of the slightly thinned glue, applied our leaf, and immediately coated the top surface again with glue. We continued working like this until we had covered the whole cover of the notepad. We then put it to one side to dry. Once the glue was completely dry we painted over another layer of glue. Our finished notepad has had two extra coats of glue on it, and the surface feels nice and robust. The finish on the leaves almost has a leathery look about it, and we are hopeful that the glue will do its job in preserving their integrity and colour. 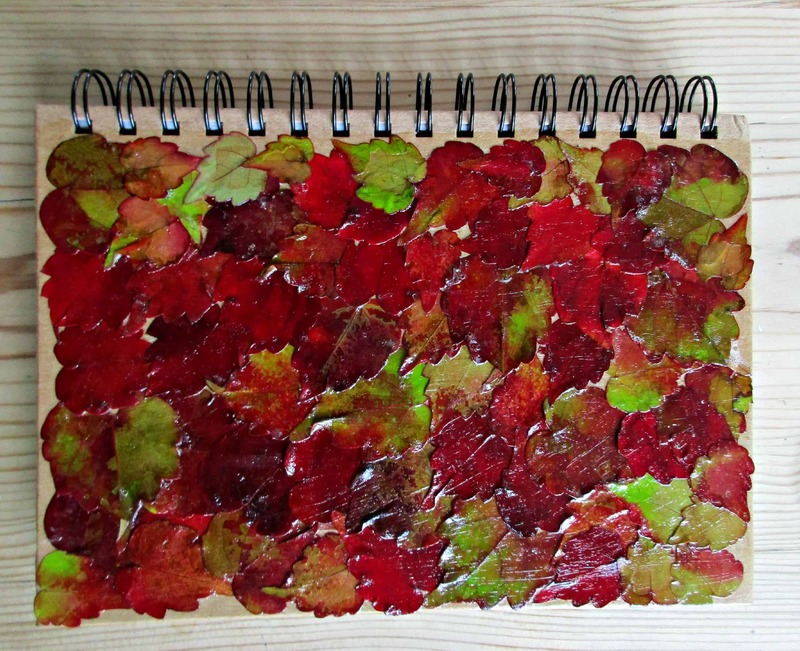 We love how our leaf decoupage turned out. For more fab crafts using basic white glue check out our fabric covered flowerpots, our decoupaged Easter eggs and our homemade seed paper. Did you varnish over the glue , love this idea. How have the leaves held up so far? I would like to make this and then some. I have to walk a little further to gather my leaves, lol. 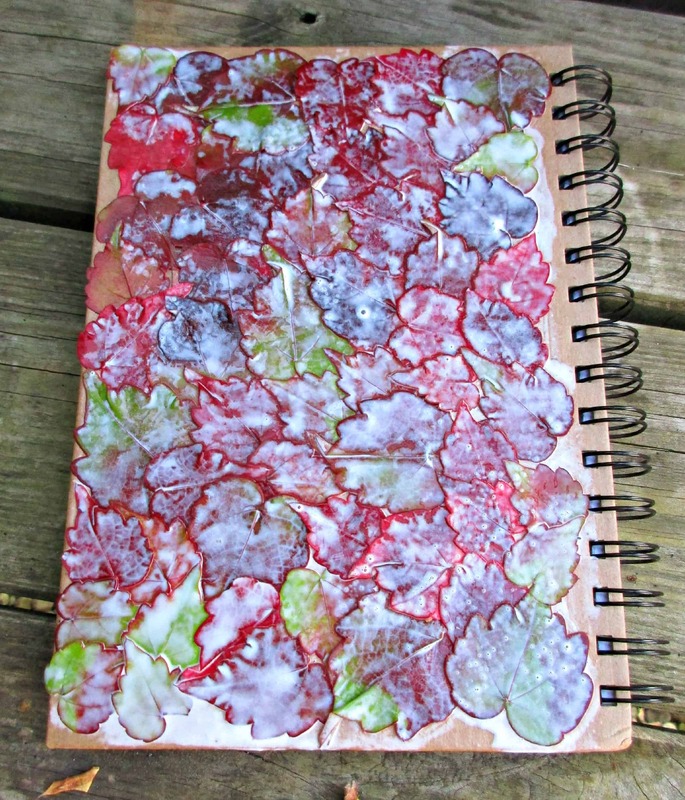 They last really well Rose, we made these last year and the notebooks are still perfect – maybe slightly darker in colour, but no deterioration, and the leaves haven’t lifted at all! Great idea! 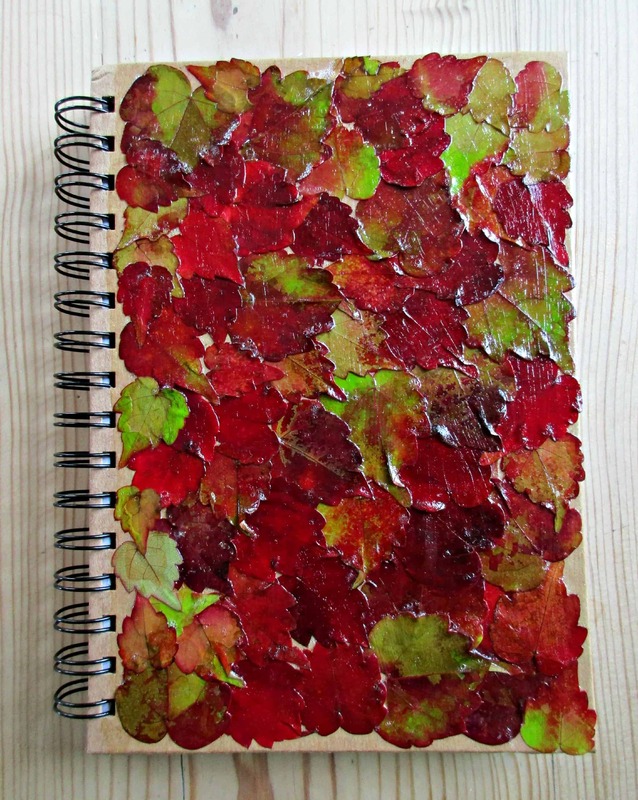 Your notepad turned out very pretty, I like how the leaves are different shades of reds, and greens. I love the crafty ideas using leaves, or anything of nature. Such a clever result, I really want to try this now and great to know that ordinary PVA glue will work. The leaves falling on the farm are so pretty at the moment it sounds like a perfect time to give it a go. Thank you for sharing a great idea on #CountryKids and #Trash2Treasure. LOVE THIS!! Natural art is so pretty! Thanks for sharing! Thanks for visiting us 🙂 We love crafting with nature. We have a dog, so are out every day in all weathers, and are constantly picking up bits and pieces that catch our eye. It’s so lovely when they get to the age where you can craft with them. It’s such a nice way to spend time with the kids and relax. It always amazes me how imaginative kids are – any project with their hands seems to spark it! Oh this is beautiful! 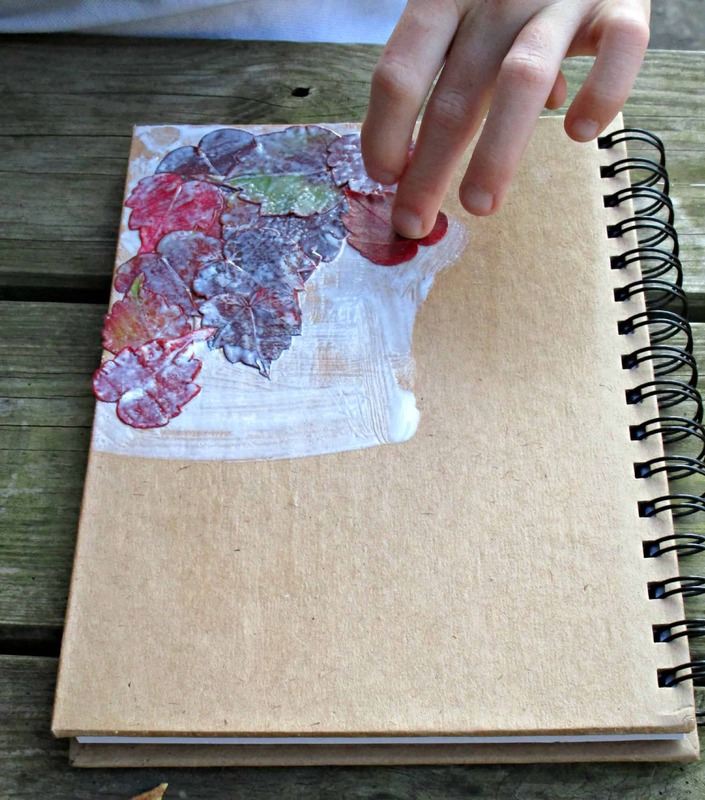 What a lovely idea… Would be great for a nature journal! Great nature activity with kids! I keep meaning to do some decoupage with my two as I watched and helped my mother as a child with all her decoupage projects. What a good idea! 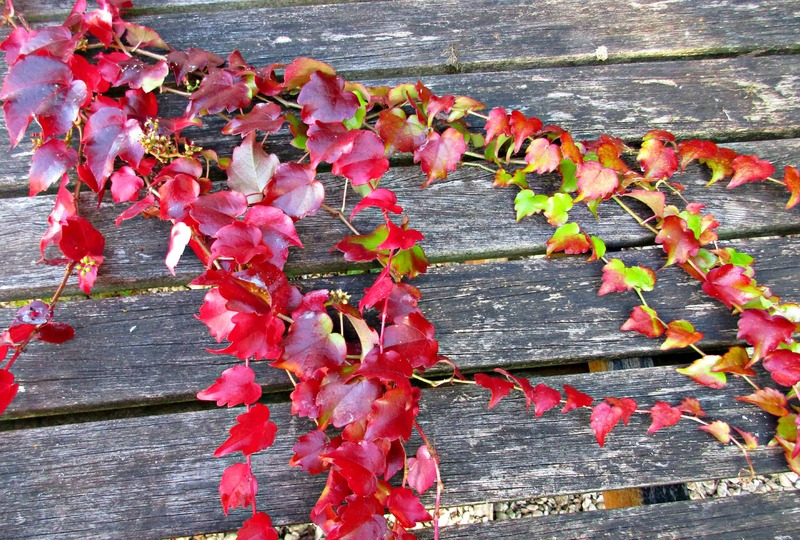 Lovely way to actually keep a bit of autumn going (I love autumn). I would totally be trying to figure out what to cover with leaves, if it hadn’t already started snowing here. These look gorgeous. We’ve just used our pressed leaves to make candle holders.